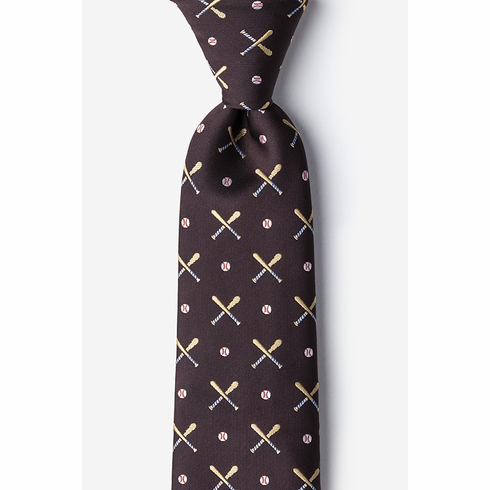 These unique Batter Up baseball neckties are perfect for any casual outfit or suit. Brown background. 100% Silk.